We present some quantitative performance measurements for the computing power of Programmable Active Memories (PAM), as introduced by [BRV 89]. Based on Field Programmable Gate Array (FPGA) technology, the PAM is a universal hardware co-processor closely coupled to a standard host computer. The PAM can speed up many critical software applications running on the host, by executing part of the computations through a specific hardware design. 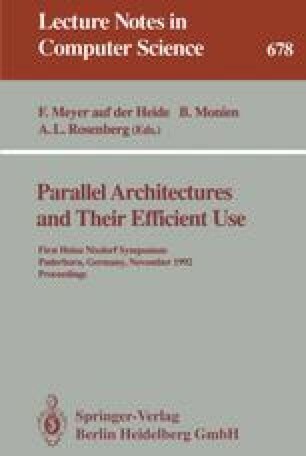 The performance measurements presented are based on two PAM architectures and ten specific applications, drawn from arithmetics, algebra, geometry, physics, biology, audio and video. Each of these PAM designs proves as fast as any reported hardware or super-computer for the corresponding application. In cases where we could bring some genuine algorithmic innovation into the design process, the PAM has proved an order of magnitude faster than any previously existing system (see [SBV 91] and [S 92]).